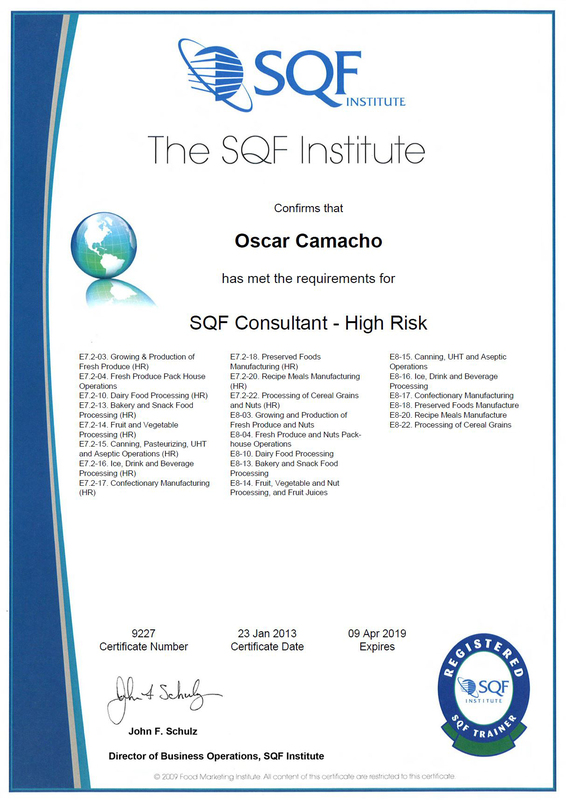 Oscar Camacho is a Certified FSPCA-Human Foods Lead Instructor and Consultant, a Lead Instructor for FSPCA-FSVP Foreign Supplier Verification Programs, a Registered SQF Consultant & Registered SQF Trainer and a former SQF Auditor. He holds a BS in Biology and an MS in Food Science and Engineering from the Universidad Politecnica de Valencia in Spain. He also holds a Certification in International Management and regularly continues studies in business administration.